Teachers have to manage and keep an eye on the activities of many students at a time. They’ve to check tons of papers, prepare timetable, create progress report, encourage students, etc. As teachers play an important role in shaping the lives of children, it wouldn’t be wrong to say that they are serving the government and parents. Although teaching is not an easy profession, the life of teachers can become easier if they use apps designed especially for them. The applications will save the time of teachers and improve their productivity. Google Classroom is a free app that allows teachers to create a virtual classroom where they can post new questions, assignments, make an important announcement, etc. 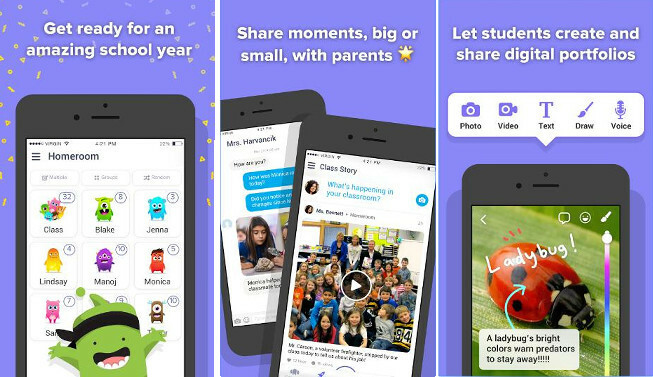 The app has the option to invite students or co-teachers to join the classroom. It saves your data on Google Drive. Teachers can archive the class data and free up space from their GDrive account. They can link study materials with the class. 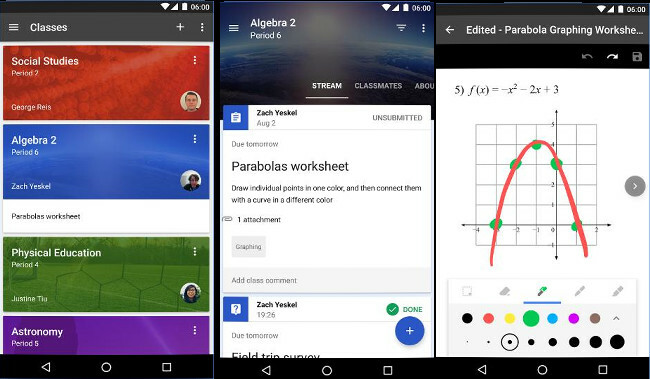 Classes you create with this app are linked with the Google Calendar. Hence, you can see the class data by date. Users can transfer the ownership of class to a co-teacher. The GC app displays the details of students who have submitted and didn’t submit their assignments in a single interface. Google Classroom is a secure and lightweight app. It is a part of G-Suite. As it is an online service, you can access GC on Windows or Mac PC. GC app requires account registration. If you have got a Google account, you can log in to the app and start using it straight away. 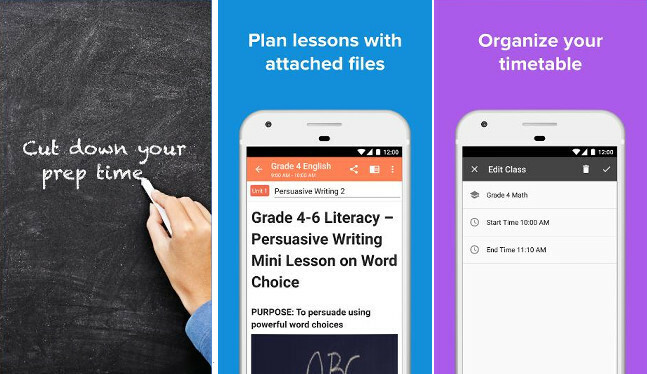 Dojo is a great alternative to Google Classroom. It is a feature-rich application for teachers. To create a class, teachers must create a Dojo account by entering their email address and password. Students can join an existing classroom by scanning QR code or entering a special invitation code generated by the app. Once users log in to their account, the app will display a list of schools (groups). Teachers must go through this list carefully. If teachers work for any of the school, they can connect with other staff members of the school by joining the group. The app isn’t restricted to school usage. Individuals teaching in a private institute can use it by selecting the “I don’t teach in school” option. Dojo lets teachers send direct messages to parents. It also allows them to rate the skill of the student and share the same with parents. If the performance of the student is not up to the mark, teachers can encourage him/her by awarding a special skill (For example, hardworking, team player, etc). The Dojo app enables teachers to create a group within a class. The app provides an attendance tracker utility. It has the option to sort the list of students and add a new teacher to the existing classroom. The app can work in offline mode, but it needs an internet connection to backup your data. Parents can use the Dojo app to see the progress of their children. PlanBoard is a great app to schedule and manage lessons. The app features a wizard utility. Hence, it is easy to use. In the first step of the wizard, the app asks you to enter the name of the semester. In the next step, you’ll be prompted to select the semester start and end date. Then, you’ll be requested to select your semester duration and the number of days you’re planning to teach. Once you enter the requested data, the app will ask you to create the subject. Users can add a lesson or curriculum set to their subject. Like subjects, lessons in this app are easy to create. To make sure that you don’t forget to discuss an important point during a lecture, you can add a short note or an attachment to the lesson. Planboard enables users to create and manage lesson plans, timelines, and subjects. It lets users sync their data to the chalk.com. Teachers Gradebook is an app that lets teachers manage grades of the students. It doesn’t require account registration and has various functions. The app lets you import student data from a CSV file. Before importing the data, you can specify the date format and select the character set. The app has the option to update existing data of a student. It features an attendance register, class planner, and class diary utilities. It has a filter to display the attendance data of the current/previous month, last week or between two dates. The table boasts the names of students and their grades aka test score. You can add new score columns to the table and sort the table data. You can configure the Teachers Gradebook app to highlight grades/rows with a specific color. This feature helps teachers in finding students with good and poor scores quickly. 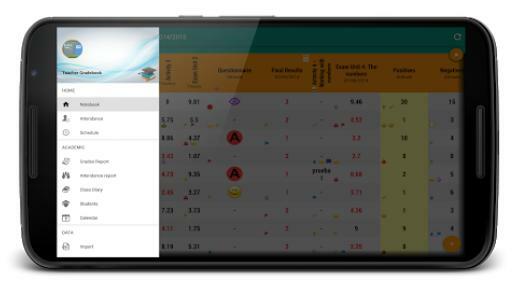 By default, the app displays average scores of the students at the bottom of the table. To see the maximum, minimum, or total score instead of the average score, tap on the row. TG enables you to export the table data to a PDF or CSV file. Stream: Here, teachers can share educational materials with the students. The material can be a website URL, pictures or a video. 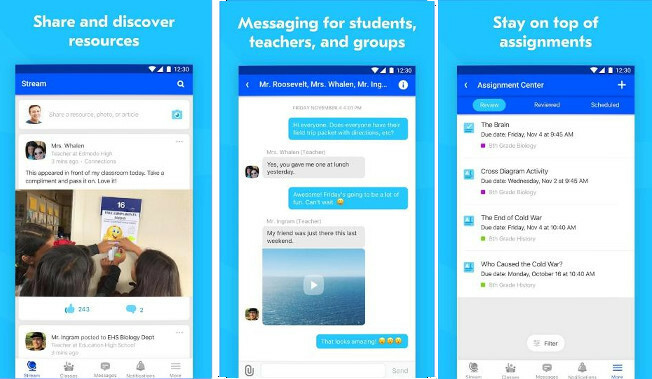 Class: A class in the Edmodo app is a place where students and teachers can communicate with other. To join a class, students must enter a special six-digit code provided by their teacher. The code is generated by the app. Teachers can create notes, homework, and make announcements in the class. They can allocate a different assignment to each student. They can also specify a deadline for the assignments in the Edmodo app. Messaging: Users can send messages to students or their connections via this interface. Notifications: Here, teachers can see the activities of their students, requests to join a class, group, etc. The app allows teachers to moderate comments on posts. It has the option to hide posts from the parents. Google Classroom, Edmodu, DojoClass, Gradebook and PlanBoard are the best apps for teachers and educators.